How do you find the million-dollar insights, KPIs (examples), and make the right business case? Which project approach should you use to limit risks? How should you approach Big Data, a diversity of data sources, and Predictive Analytics? How can you drive the BI success factors that ensure better results? How can you involve the business managers and IT employees? Which BI Tools are effective in your situation, and how do you build a future-proof BI infrastructure? If you see yourself in one or more of the issues above, our 3-day BI masterclass comes highly recommended. Over the course of three intensive days, we’ll cover all the Business Intelligence elements you need for successful BI and process improvement. People who have completed our 3-day BI training are well-equipped to take the right steps in their business intelligence project. Business Intelligence is a specialist field. Trying to improve the intelligence of an organization without having the right skills and tools often leads to counterproductive results. Our practical model, which covers all Business Intelligence tools and methods, creates a clear framework for results. This practical masterclass will provide you with directly applicable knowledge to apply BI successfully. You’ll learn all the required skills and techniques. Over the course of three intensive days, participants will be prepared for a leading and advisory role in BI projects. Definitions and the Intelligent Organization: What is business intelligence? What is management information? What are the 4 most important properties of an intelligent organization? How do you develop your own vision on management information, and how do you ensure better decision-making based on actionable data in your own organization? BI Trends: What are the latest BI trends? Learn more about mobile BI, Big Data, BI in the cloud, social media, and advanced analytics. We’ll focus on the situations in which you can apply and use these concepts. Data warehouse: What are the most important goals of a data warehouse, and what should you focus on to implement one? We’ll also cover the most important essences of metadata, architecture, data modeling, and data integration. Data quality: What’s the importance of good data quality, and which methods and tools can you use to improve data quality as a continuous process? BI project management & Governance: We’ll cover various methods, including waterfall, agile, and scrum. You’ll also learn about the 10 most important project risks and pitfalls and delivery models. Finally, you’ll learn why and how to set up a business intelligence competency center (BICC). The business case for BI: Why is a business case important? You’ll become acquainted with the most important aspects of a business case and learn how to make one based on million-dollar insights, among other things. Maturity in BI: What maturity and ambition levels are there in Business Intelligence? Can you diagnose your own organization and plot a course towards a higher level of ambition/maturity? Change plan BI: In groups, you and your fellow participants will develop a BI mission from a vision, and a complete change plan for your own organization. BI consultancy skills: What is the role of the BI consultant, and what is their area of expertise? Which dilemmas will a BI consultant face, and which techniques and skills can help them face those challenges? This part of the Business Intelligence training is dedicated to the user side of BI. We’ll cover the complete BI process, determining genuine KPIs, and improving the User eXperience (UX) by, among other things, effective data visualization. All 15 steps will be discussed. Business Intelligence as a process: In detail, become acquainted with the fifteen steps for processing, analyzing, and distributing information, and especially using it effectively. Information analysis & determining KPIs: You’ll learn about the four most important methods for information analysis, and determining the most essential BI content. How do you determine the genuine KPIs, and how do you define the million-dollar insights? Participants will work on this in groups. User eXperience (UX): Learn how to increase the ease-of-use of information by using powerful data visualization techniques. Which psychological effects and cognitive frameworks should you keep in mind? Includes the BBC documentary “How to make better decisions”. Organizational roles & BI frameworks: Learn how to make insights reusable to various organizational roles. You’ll also become acquainted, in detail, with a smart, directly applicable model for information distribution. BI success: How do you make BI successful in your organization? What are the 12 most critical success factors you should drive and be mindful of? Learn why analytics and alignment, agile working, and continuous improvement are closely connected. Our three-day Business Intelligence masterclass covers both the business and the technical aspects of Business Intelligence. For example, KPIs, analytics, Big Data, the data warehouse, the BICC, BI project management, data visualization, BI strategy, and change management. You’ll gain deep insights into the success factors of Business Intelligence. Teacher and consultant, Daan van Beek MSc, author of The Intelligent Organization (3rd edition), has over 20 years of experience as a Business Intelligence advisor, program manager, and trainer. He designed this 3-day Business Intelligence training course over ten years ago, and he has continued to iterate on it and refine it ever since. Outside of his native country, the Netherlands, Daan also teaches in India, New York, Kuala Lumpur, and Singapore. As a Business Analytics teacher, he is connected to TIAS. He studied information management and Artificial Intelligence (AI) in Rotterdam and London. During the training, you’ll work in groups and participate in group discussions every day. That creates an optimal combination of learning and doing. After completing this unique Business Intelligence training course, participants will receive a certificate and a signed copy of The Intelligent Organization. Who is this Business Intelligence training for? This training course provides valuable knowledge and insight for anyone involved in a BI project. This course is primarily taken by: (up-and-coming) BI project leaders, project managers, management information employees, Business Intelligence managers, IT employees, business analysts, Chief Data Officers, CIOs, and business managers. When teaching abroad, our teachers will come teach a group of your employees in a location of your choice. If you want to discuss the possibilities, don’t hesitate to contact us! “BI and Big Data are hot topics, even within universities, who are working on setting up new programs for it. They’re primarily focused on building tools. People who want to follow these course have to be well-versed in math and statistics. What I was looking for was people who can tell me how to use those tools in an organization, how they contribute to performance improvement, and what’s required to realize that. I looked around, and didn’t find many who could do that. Let alone do that for a critical audience of experienced people. 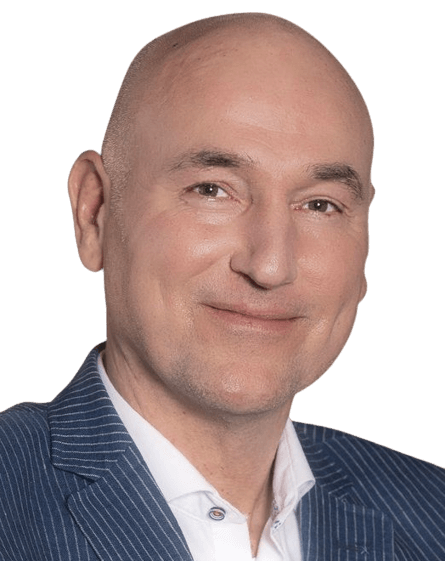 Daan van Beek is the managing director of the Passionned Group and author of four Business Intelligence books, numerous articles and a well known speaker on the topic of ‘intelligent organizations’ at congresses. "I got the feeling that it was going to be a difficult story. However, I went to talk to Daan van Beek of the Passionned Group and to my great joy he responded very enthusiastically. We made an appointment and in that meeting he also opened a number of new perspectives for me. I have become convinced that Daan is the designated person for this training. So I have given it to him in full confidence." We love to help you getting started with business intelligence training.